Joy Marie Robbs, nee Bollinger, 82, of Belleville, IL, born March 28, 1936, in Flat River, MO, died Thursday, August 2, 2018, at the Atrium of Belleville, IL. Joy and her husband, John, were very active Christians and very active in the lives of their children and grandchildren. Joy was a member of The Red Hat Society and active in church ministries. She enjoyed camping, traveling with her friends, and her many friends at the Atrium. She was preceded in death by her husband, John U. Robbs, who died in 2003; her parents, Harry E. and Blanche, nee Standfield, Bollinger; and a sister, Oleta Jean Williams. and a sister, Nelda Smith. Memorials may be made to the Lustgarten Foundation for Pancreatic Cancer Research. 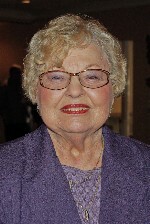 Condolences may be expressed to the family online at www.rennerfh.com. Visitation: Friends may visit with the family from 9 to 11 a.m. Monday, August 6, 2018, at Faith Family Church, Shiloh, IL. Funeral: Funeral services will be held at 11 a.m. Monday, August 6, 2018, at Faith Family Church, Shiloh, IL, with Rev. Chris Bridges and Rev. Sandy Schoeber officiating. Burial will be at Jefferson Barracks National Cemetery, St. Louis, MO. So many great childhood memories of time spent with this beautiful woman and her awesome family! You all are in my thoughts and prayers.